Yes, sometimes our peeps let their attention stray elsewhere. We're glad you aren't holding it against your mom! Duncan, you're just a cool dude ...... don't know how you get away with it! We're gonna try that next time. Actually it might help if we bought Her a gift or two, maybe ......? That was nice of you to get that for her. Bet she loves it too. I need to change up the pillows on my couch with some new coverings. Thanks for the reminder. 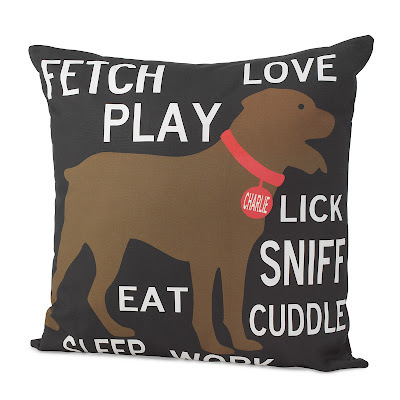 This is perfect for dog lover like my sister. I will take this idea for sure. Thanks.